Moisten cotton ball with Rinse-Off Eye Makeup Solvent or use a cotton swab for spot work.Sweep over eye makeup.Tissue off or rinse with water. 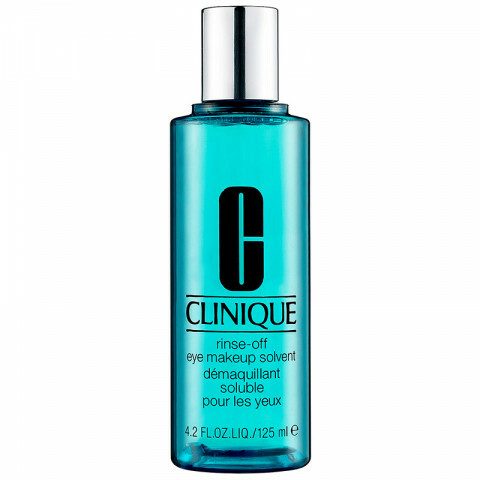 I love this product it's very gentle with my eyelids! Lovely product that is super gentle on the eyes but takes off makeup well. This makeup remover works really well if you let it sit on eyes for a few seconds before rubbing. Removes even my waterproof mascara. This stuff is amazing! It removes even the toughest makeup. I put it on a cotton swab and let it sit on my eyes for a few seconds which really breaks down the products. Love this!! I recommend these to friends and family because of how well they work. If you have sensitive skin I would just maybe be careful. Love this makeup remover. I received it as a free sample from Influenster and instantly fell in love. It's just so easy to use. No rubbing or anything, the makeup comes right off. Works especially for any waterproof makeup. Would recommend this product! This remover is one of my favorites. It does an awesome job of removing tough makeup from the eyes. Not oil-based. It is very gentle. You don't want to tug ever cause it will cause premature wrinkles. Great to take off eye makeup that is hard to remove and is not harsh on the skin, does the job well.